Because style matters! Since I started playing this game I was very attracted by all the gadgets and accessories which golf offers. One of my main focuses for bags and clubs are headcovers. 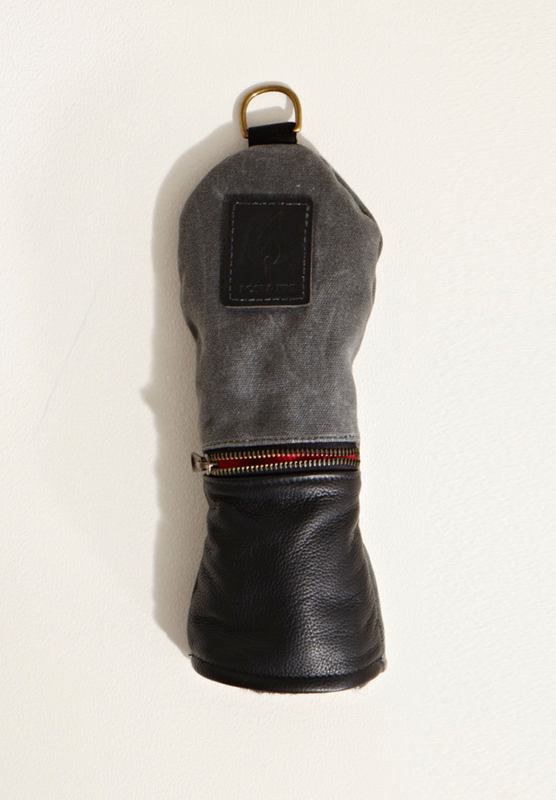 I really like the idea to bring style to your bag by using headcovers. Having another night in front of my laptop I found this company called Rose&Fire. The young and very fresh company from L.A. around the Designer, Founder and CEO Mike Buchfuhrer has made his focus on creating timeless pieces with modern constructions and enchanted functionality. 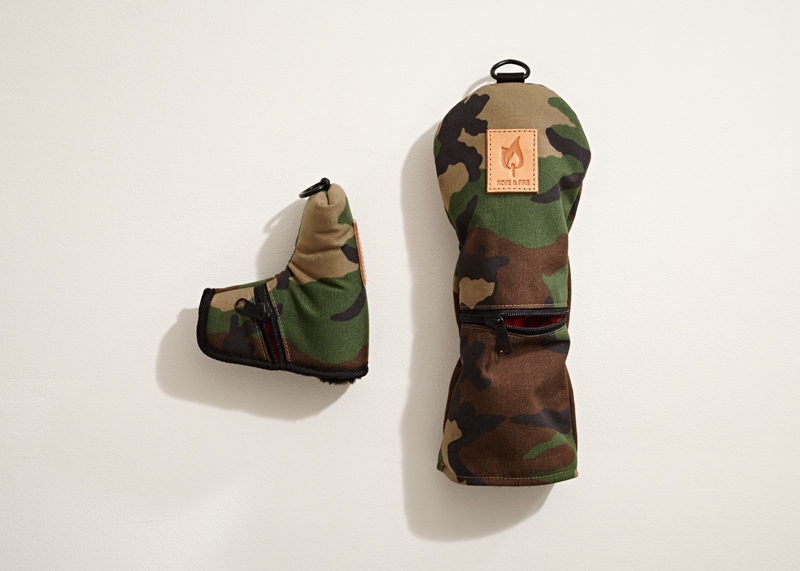 I browsed the homepage and it was clear that I had to have some of these gorgeous headcovers. After having a nice and very sympathetic email exchange with Mike Buchfuhrer himself, I got a set of the Explorer Series Woodland Camouflage covers for Driver and my putter, and I also got for my three wood the Weekender Series Waxed Canvas & Leather cover . I was stoked by the quality and the processing of the headcovers, everything was just made perfect. 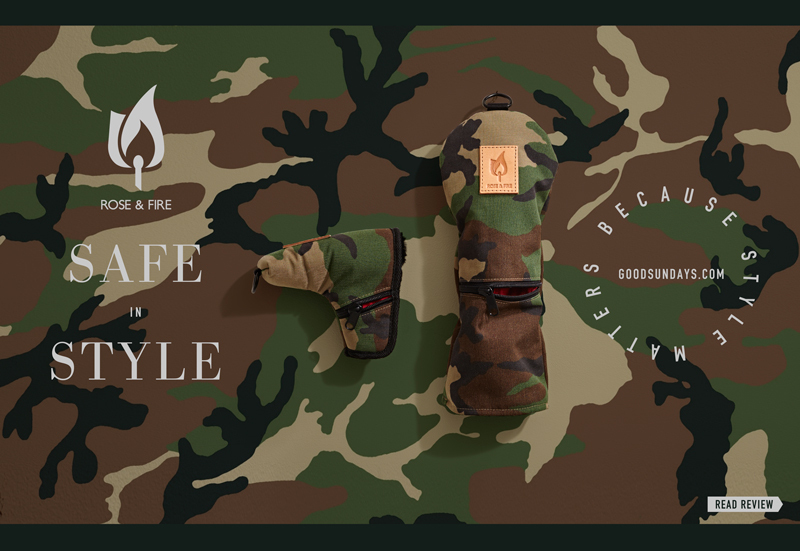 The ballistic nylon fabrics of the Explorer Series Woodland Camouflage inspired by military fit perfect for my putter ans driver. The materials are water resistant and protect the clubs, safe for the walking game. The material mix from the Weekender Series Waxed Canvas & Leather cover for the 3 wood inspired by motorcycle fashion work so good together. I love the interplay of the waxed canvas and leather decorated with the zipper, this makes it really a design object, which gave my golf bag something special. For everybody with a sophisticated lifestyle and design interest Rose&Fire offers a variety of materials, designs and styles. In my eyes a beautiful twine between history and modern golf, this stuff is highly recommended.